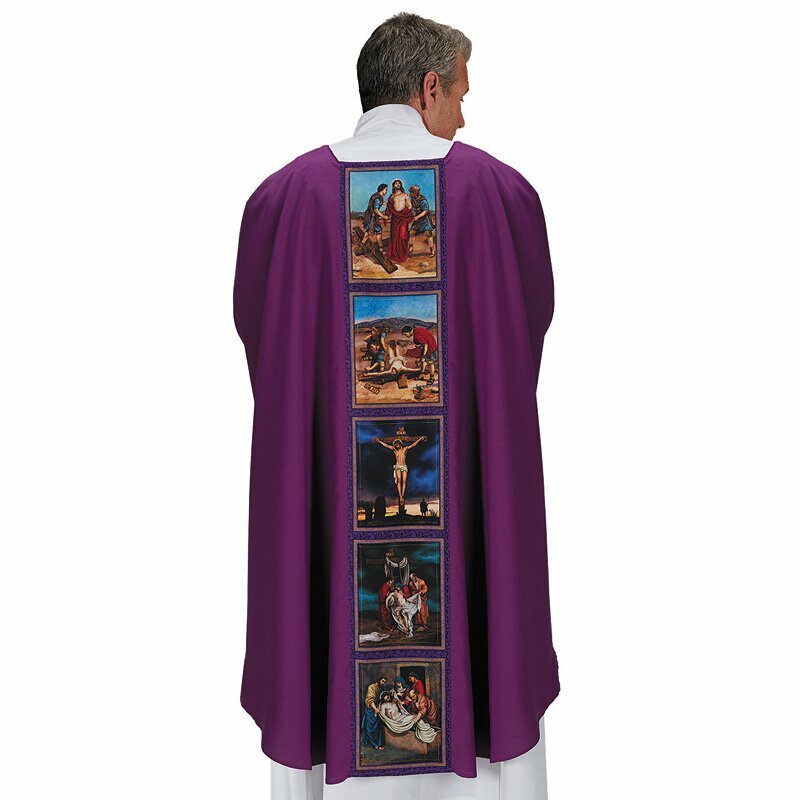 Enhance your Lent services with our Lenten Story Chasuble. 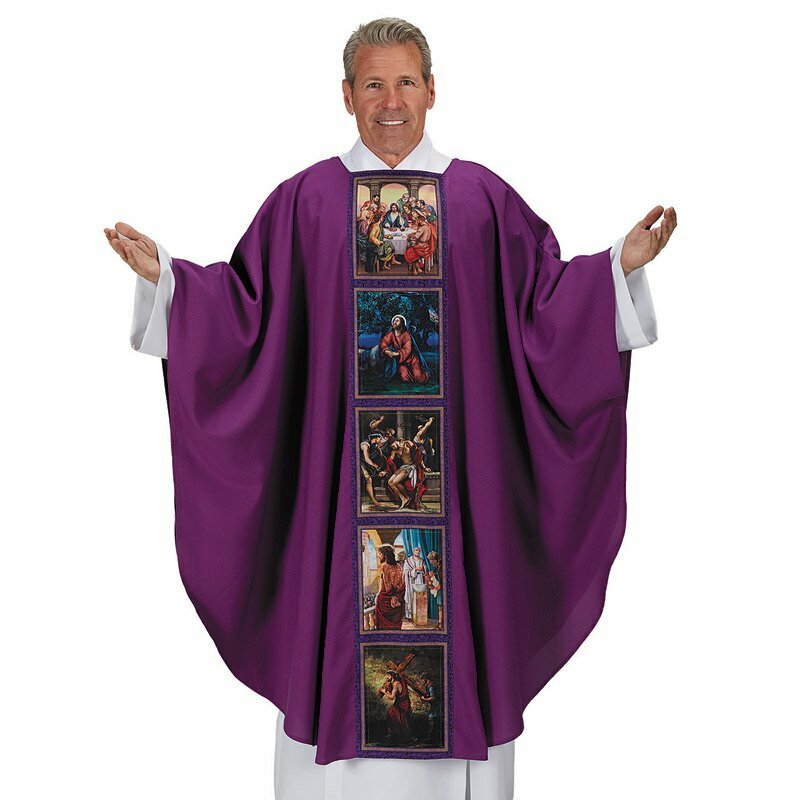 It is a digitally printed vestment featuring stunning artwork from customer favorite artist, Michael Adams. Each chasuble features 5 vibrant images on the front and 5 images on the back. The images are printed on satin then combined with a textured polyester base fabric.